Dzhokhar Tsarnaev and the Cover of Rolling Stone. . . Talking Points. . .
Certain things I encounter in life trigger the juke box in my head and the repository of images stored away and long-forgotten in the disorganized file cabinet that is my brain. The juke box and image files both kicked into high gear last evening when I saw the news story about the controversy surrounding Rolling Stone magazine’s decision to feature alleged (we need to let the justice system run its course here) Boston Marathon bomber Dzhokhar Tsarnaev on the cover of the latest edition. Being a long-time reader of Rolling Stone, the old Dr. Hook tune “The Cover of the Rolling Stone” jumped onto the turntable in my skull. 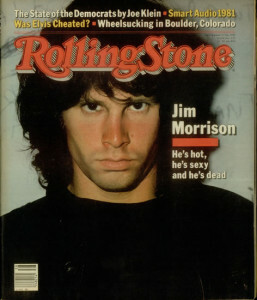 Hook and his Medicine Show sang, “The thrill we’ve never known, Is the thrill that’ll getcha when you get your picture on the cover of the Rollin’ Stone.” Then, seeing Tsarnaev’s cover prompted recollections of other past Rolling Stone cover images that I remembered as being eerily similiar. . . including Jim Morrison, Bob Dylan, and Charles Manson. I haven’t spent any time scouring what’s sure to be a cascading number of news stories and blog posts regarding the cover, so I’m not sure how folks are exactly going to be processing it all. I do, however, have some thoughts of my own. . . thoughts that are still in process. . . that might serve to help as you process the story and talk about it with your kids. 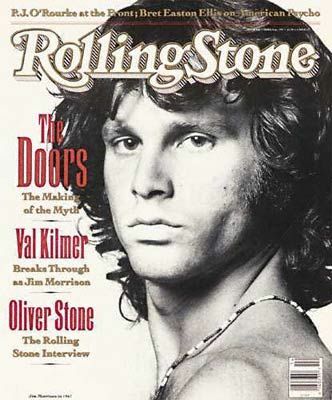 First, Rolling Stone‘s cover is usually reserved for celebrity of some type. There’s a sense that once you’ve made it to the cover of what once was (in pre-Internet days) the cutting-edge outlet for pop culture news and commentary, you can go no higher. That’s why Dr. Hook sang what he did forty years ago. 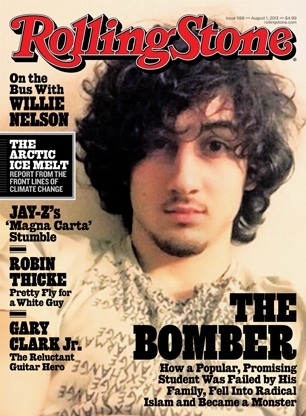 I certainly hope that Rolling Stone doesn’t see nor is it trying to make Tsarnaev into some kind of celebrity. But one has to wonder if celebrity-seeking sociopaths who endeavor to make a name for themselves through some kind of sick and twisted (and usually violent) act might not be encouraged by the fact that Tsarnaev has gone from being a familiar face through all kinds of print, broadcast, and online news outlets, to being featured in this highly coveted spot. Those of us who do youth ministry or who work in education know that when a student takes his own life, you have to walk a fine line in your follow-up as you don’t want to indirectly glorify what’s happened in ways that encourage others to follow the same path so that they’ll be noticed. Second, the fact that Rolling Stone chose a photo taken by Tsarnaev himself deserves some deconstructing. One one level, we live in a self-obsessed and narcissism inducing/promoting/celebrating culture that’s fertile ground for social media use that’s not so much about serving others as it is about creating, curating, and marketing one’s self. “Selfies” that don’t serve me are quickly deleted thanks to digital photography. “Selfies” that make me look good are the ones that make the cut. The fact that Rolling Stone chose a photo by Tsarnaev that was taken and posted to make himself look good. . . well, that’s a questionable decision but also a sign of our times. On another level, Tsarnaev has been given some control here. It’s as if Rolling Stone’s cover has become his own, personal Facebook page. There’s something eerie about that which I’m still trying to figure out and which just doesn’t sit well. Third, I wonder about the shift taking place in our culture regarding the blurred lines between fame, celebrity, and heroism. Morally, we’re all over the place. Relativism, tolerance, diversity, and pluralism run amuck have combined in a cocktail that allows each of us to individually decide not only what is virtuous and what is not, but who is virtuous and who is not. What gets us attention, magazine covers, and a following in today’s world is not so much quietly living your life in ways that good, true, right and honorable. . . but just making noise. . . . even if that noise is horribly destructive. This isn’t going to change until we stop listening, looking, and paying attention. 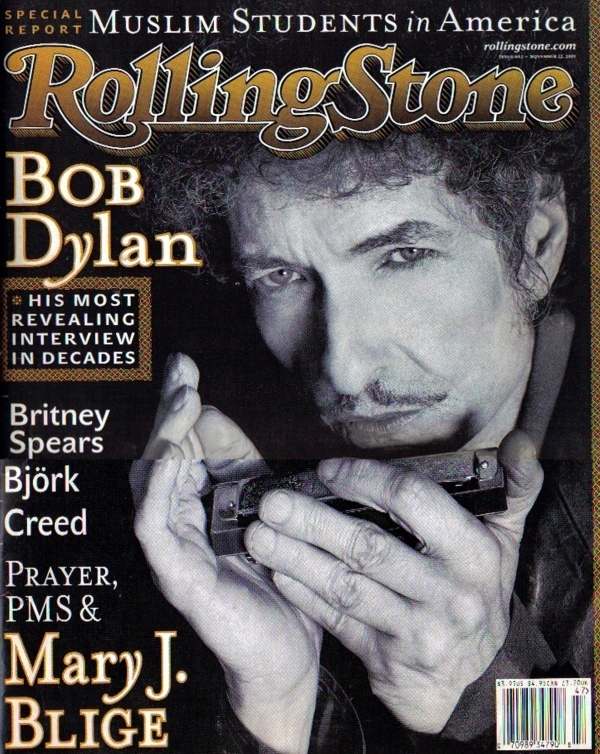 Fourth, maybe we shouldn’t be surprised at all by Rolling Stone’s decision. 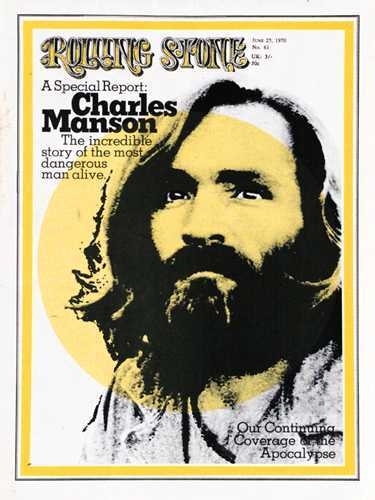 Have you ever surveyed the long, long visual history of the magazine’s covers? Tsarnaev is not at all alone as what some have labeled as “the face of evil.” Yes, he’s allegedly done some horrific things. They are things that he thought about doing, planned to do, and carried out. 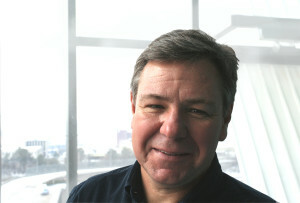 He was informed by a worldview and ideas that are anything but biblical. While this is no justification at all for Rolling Stone’s decision or Tsarnaev’s actions, we really do need to think about the ethical impact and culture-shaping influence of the ideas and actions of the great majority of people who have been featured on Rolling Stone’s cover over the years. Ideas have consequences. They shape us. Maybe. . . just maybe. . . this week’s Tsarnaev cover is one of the most harmless Rolling Stone covers of all time because we look at it and our guard immediately goes up. I wonder. Finally, there’s something deeper happening here that forces us to go to a place where most of us don’t want to go. This morning, theologian Miroslav Volf posted this thought on his Facebook page: “Attractive Tsarnaev on Rolling Stone cover! We don’t like the evildoer looking like one of us. Perhaps because all of us are a bit like him?” Think about it. The same utter brokenness that lives in Tsarnaev lives in us all. We all need to be showered in and sustained by the life-giving grace of Jesus Christ. That’s something we need to talk about with our kids. It’s going to be interesting to see where this story goes. . .
← Death By Text. . . .